Andhra Pradesh Chief Minister N. Chandrababu Naidu on Thursday accused the Central Government of hatching a conspiracy to take over the functioning of Tirumala temple. 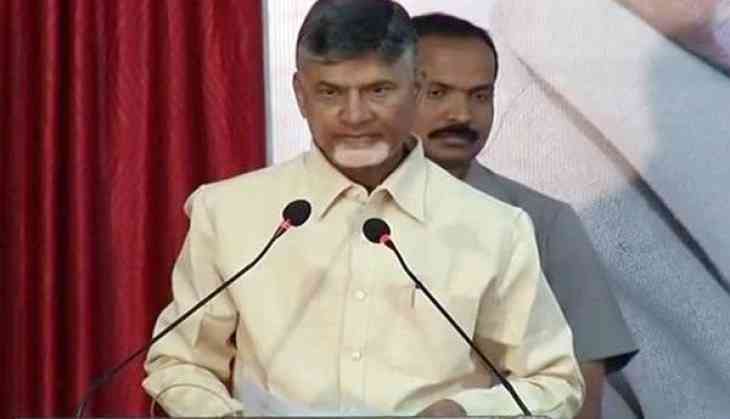 Chandrababu, while addressing a public meeting in Chittoor, where he went to participate in the sixth day of "Nava Nirmana Deeksha", said he will not let any conspiracy succeed. "We will not let any conspiracy against the Tirumala temple be successful. The Centre tried to take the temple under their control. We will not let such conspiracies turn into reality. I survived an extremist attack in 2003 only because of Lord Balaji's blessings. I won't let the sanctity of the temple of Lord Balaji tampered," he said here. Further targeting the Bharatiya Janata Party (BJP)-led Government on the Special Category Status (SCS), the Chief Minister said they were betrayed on the issue. "The Central government has betrayed our state in the matter of Special Category Status. Prime Minister Narendra Modi pledged SCS to Andhra Pradesh at the feet of Lord Balaji. I am a senior politician. As a Chief Minister, I went to Delhi and asked for special status and funds for state development. But they did not give it. Instead, they betrayed us," he added. At first, the chief minister held "Grama Darshini" program in Chandramakulapalle village, where he personally interacted with villagers and later addressed a public meeting at Valasapalle village. After the public meeting, the chief minister went to Madanapalle Masjid to take part in Namaz and later he attended Iftar party organised by the state government at Madanapalle town.